OnePlus has announced that it is discontinuing the OnePlus 3T, which was launched in November 2016. The reason behind the decision was not mentioned, but it is plain as day, the OnePlus 5 is coming soon. The Chinese OEM had discontinued the OnePlus 3, in favour of the similarly priced OnePlus 3T, just after launching the latter. And since the company is not a huge one like Samsung, i.e., it does not have the resources to manufacture old Phones, and also because of its loyalty to early buyers, the reason why OnePlus phones never have a price cut, it is understandable. So, if you want to buy a OnePlus 3T, this is your last chance, unless you are waiting for the OnePlus 5 of course. Many fans took a dig at OnePlus' announcement, to point out how badly the company handled updates for the OnePlus X and the OnePlus 2, with some users worried that the OnePlus 3 and OnePlus 3T might suffer the same fate, despite the announcement post clearly mentioning "more software updates and support". Their concerns are quite realistic. Qualcomm was slammed by many users, for refusing to support the Snapdragon 801 chipsets (OnePlus X uses this), as a result of which many devices were not updated beyond Marshmallow. But devices which used Snapdragon 805 and 810 did get the Nougat update, so the blame clearly lies with OnePlus. Our advice? Well, if you are not too concerned about OS updates, or you are comfortable to install Lineage OS or another custom ROM, you can go for any OnePlus device safely. Touch latency is the other main issue, which has been reported in the past by OnePlus users, but the company has directly addressed the problem as a priority. 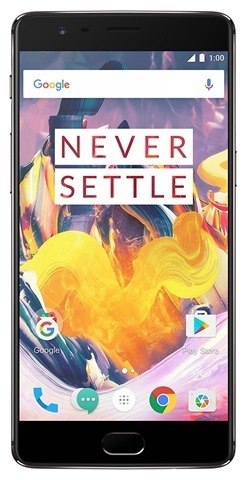 Ghosting issues were a major headache for many OnePlus One users, but it seems to have been fixed with the OnePlus 2 and One Plus 3.Fortunately OnePlus is one of the few companies which actually listens to users, and accepts its mistakes, so we are confident about the OnePlus 5, and we can definitely recommend OnePlus devices as the most affordable flagships. Just don’t expect the company to provide OS updates beyond a year, i.e., after it launches a new device.